The first Portuguese Stata Users Group meeting will be held at the School of Economics and Management at the University of Minho on Friday, September 17, 2010. The objective of the meeting is to provide Stata users the opportunity to exchange ideas, experiences, and information on new applications of the software. Everybody who is interested in using Stata is welcome. The invited speaker is Paulo Guimarães from the Moore School of Business, University of South Carolina (guimaraes@moore.sc.edu). Attending from StataCorp is Bill Rising, Director of Educational Services (brising@stata.com). If you are interested in presenting a paper, please submit an abstract (maximum 200 words) by email to Dina Guimarães (nipe@eeg.uminho.pt). The deadline for submissions is June 14, 2010. Please include your name, affiliation, and telephone number in the email. The scientific committee will make a preliminary selection based on submitted abstracts by June 30, 2010. If selected, you must submit a final version of your paper (PowerPoint or PDF) to the scientific committee by September 3, 2010. Short papers (maximum 10 pages) are also welcome. Presentations should be 20 minutes or shorter. Participants are asked to travel at their own expense. The meeting fee covers coffee breaks, lunch, and course materials. There will also be an optional dinner at a restaurant (to be announced) in Braga on Friday evening at additional cost (€25). You can enroll by contacting Dina Guimarães (nipe@eeg.uminho.pt) by email. Participants get a special rate with Hotel Lamaçães (10 minutes’ walking distance from the venue): €35 for an individual room and €40 for a double room (prices include breakfast), or with Hotel Bom Jesus (4 km from Braga’s center at Bom Jesus Mountain; click here for special rates). The Albergaria Bracara Augusta (in the city center) also has special rates of €47.20 for an individual room, €55.20 for a double room, and €87.20 for a suite (prices include breakfast and parking in the evening). Also in the city center, the Albergaria Sra-a-Branca has special rates of €34.50 for an individual room and €47.50 for a double room (prices include breakfast and parking). Other options include Hotel Turismo (€55.00 for an individual room) and Hotel Carandá (€34.00 for an individual room). To benefit from these special rates, participants should contact the hotel directly and mention that they are attending the Stata Users Group meeting. The special room rates will only be available through September 10, so plan your trip now! The closest airport to Braga is Francisco Sá Carneiro Airport in Porto. For details on how to get from there to the University of Minho, please click here. Alternatively, you can take the subway, Line Violeta to Campanhã Station (about 33 minutes, €1.35, between 6 AM and 1:30 AM). 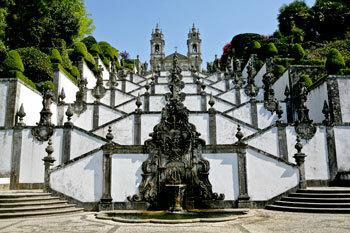 From the Campanhã Station, you should take the train to Braga. Information on train prices and timetables can be found on the CP website. The Braga train station is 5 minutes’ walking distance from the city center.